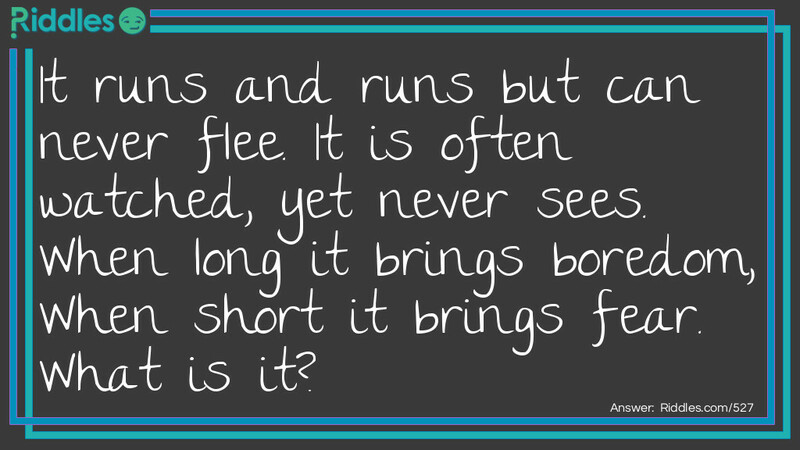 It runs and runs but can never flee. It is often watched, yet never sees. When long it brings boredom, When short it brings fear. Runs but can never flee Riddle Meme with riddle and answer page link.